All Philippine Cinema enthusiasts are invited to submit essays to be published in Indiocine Film Journal. 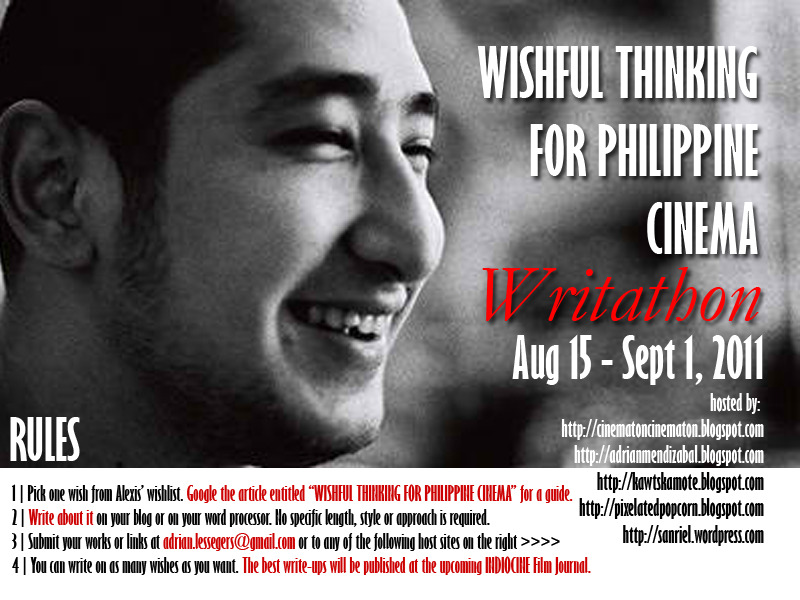 Write for Alexis Tioseco and his wishlist for Philippine Cinema. Deadline of submission is on September 1, 2011. 1. Pick one wish from Alexis' wishlist: Wishful Thinking for Philippine Cinema. 2. Write about it on your blogs or word processor. No specific length, style or approach is required. 4. You can write about as many wishes as you desire. The best essays will be published in the upcoming film journal, Indiocine.